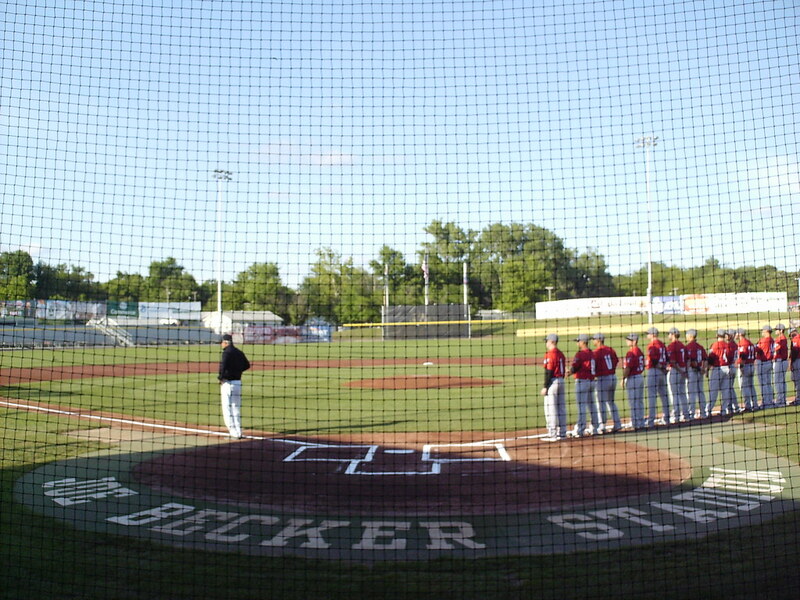 The view from behind home plate at Joe Becker Stadium. 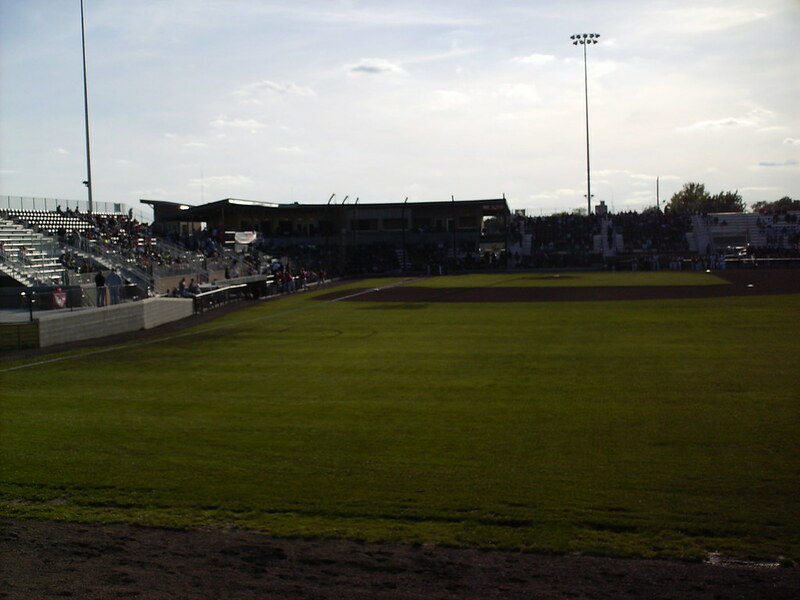 The grandstand at Joe Becker Stadium, as seen from right field. 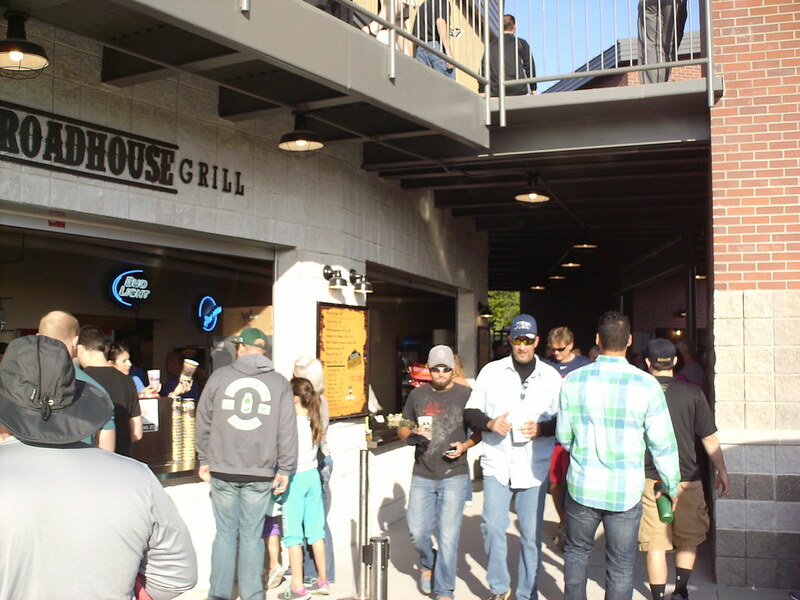 The grandstand was completely rebuilt for the 2015 season. 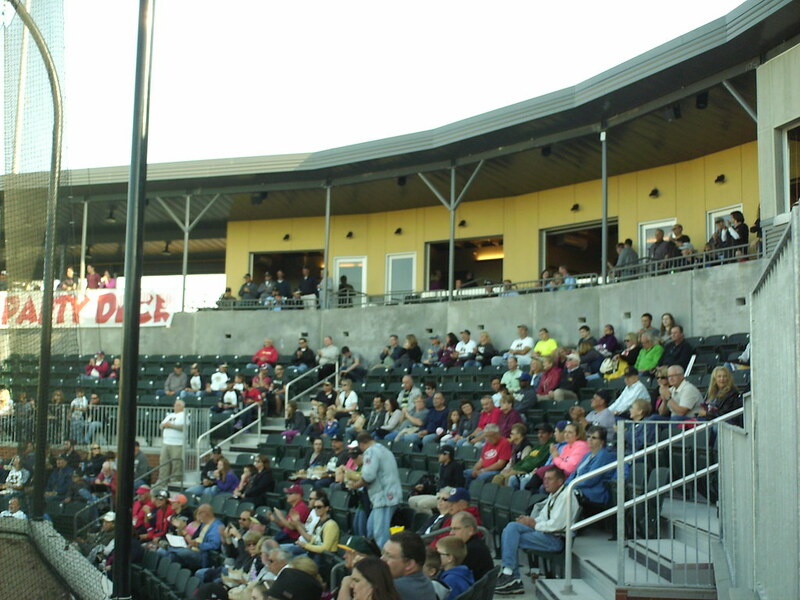 The pressbox and seating bowl, which features no walkway through the stands behind home plate. 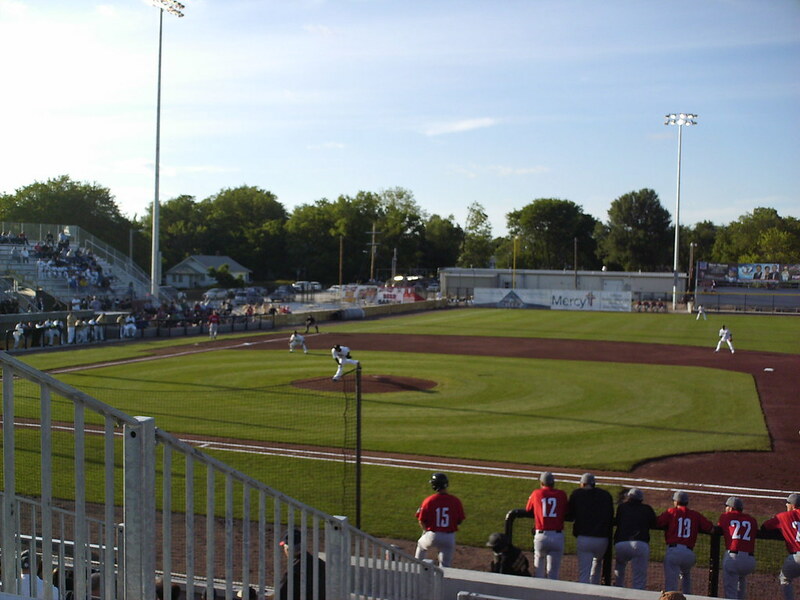 Luxury suites and a party deck on the second level of Joe Becker Stadium. 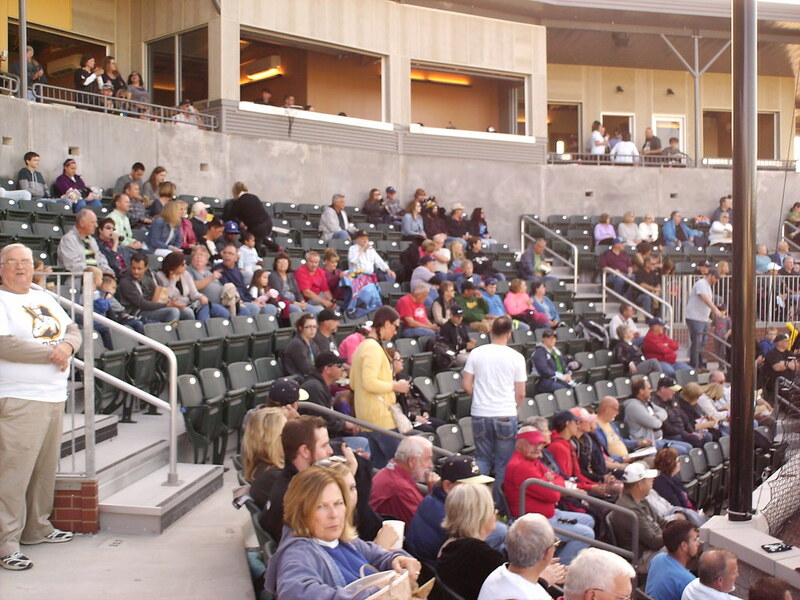 The first few rows of seating are located below field level. 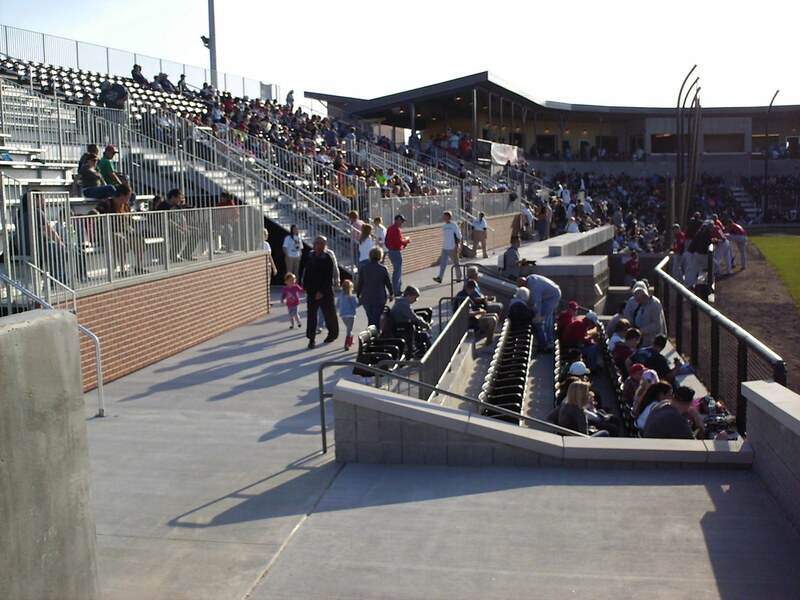 Box seating sections sit next to each dugout, set down below the field at dugout level. 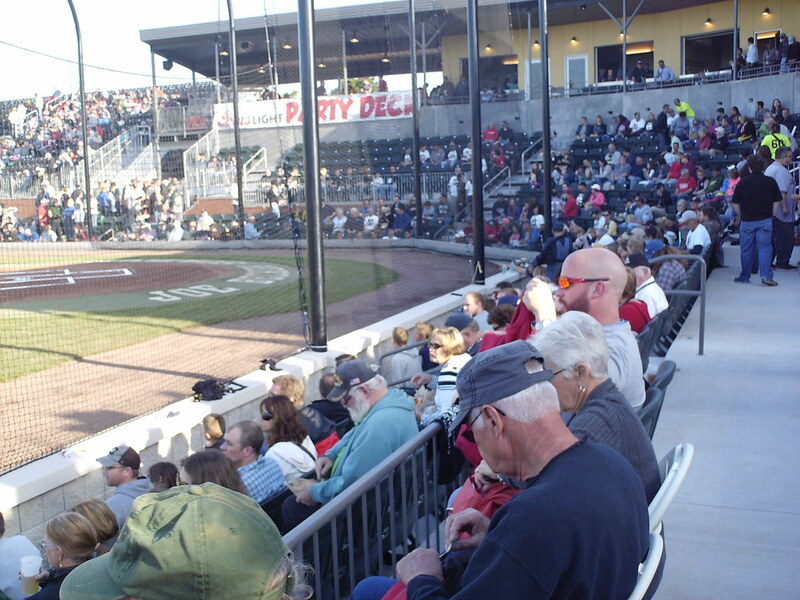 Aluminum bleacher seating makes up the last section of the grandstand on either side, while most other seating is plastic bucket seats. 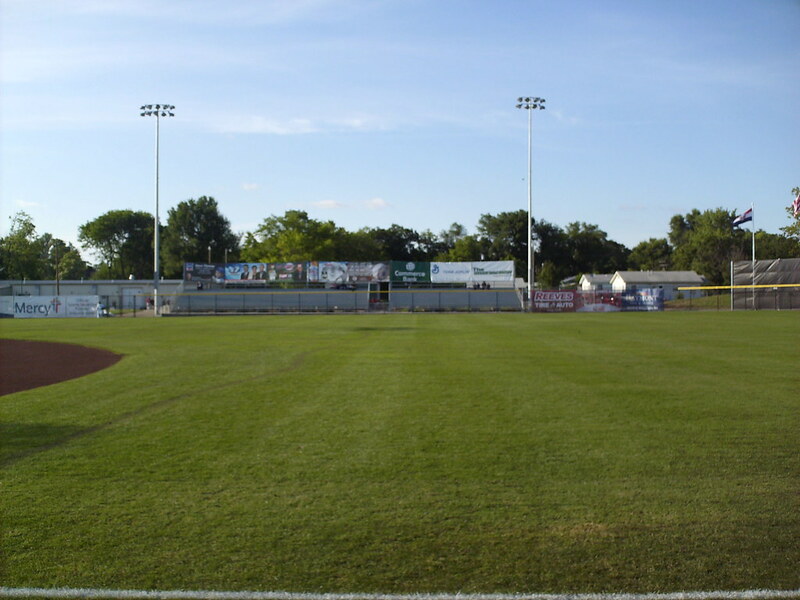 A long bleacher section sits behind the outfield fence in left field. 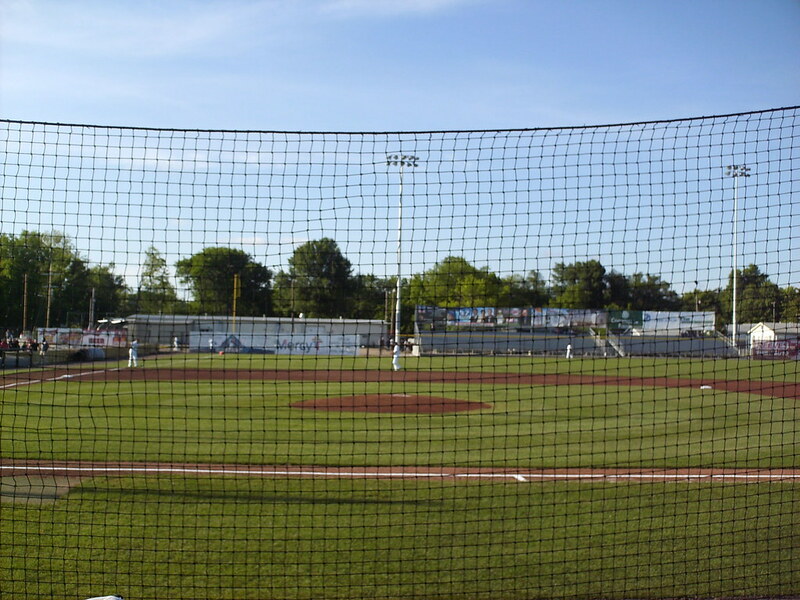 Picnic tables and a beer garden in the left field corner. 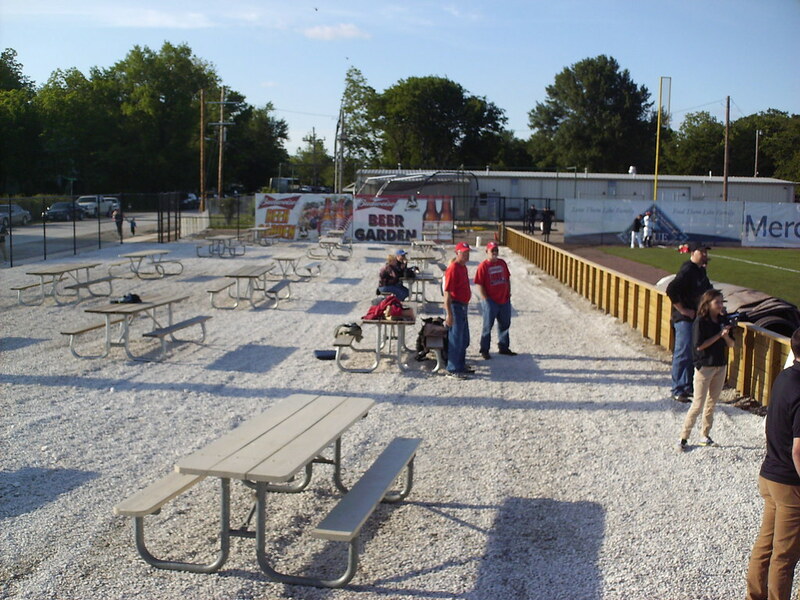 Batting cages and both bullpens sit behind the outfield fence. 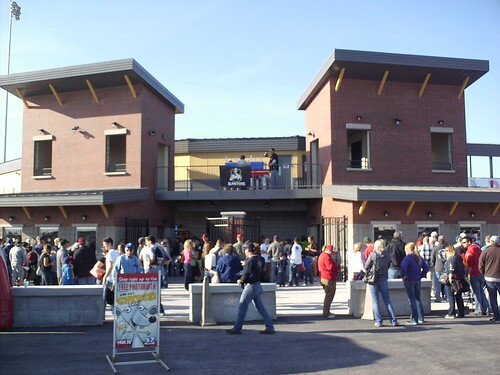 The outer concourse at Joe Becker Stadium. 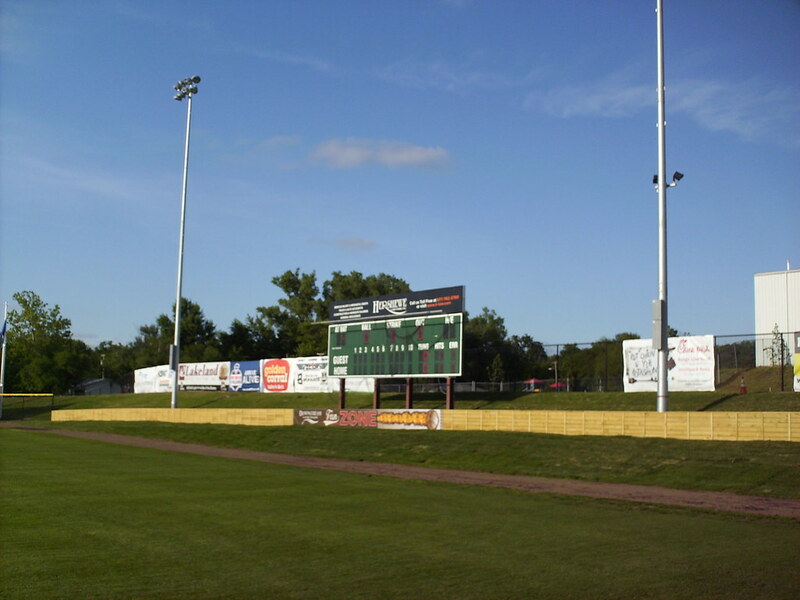 The scoreboard behind the outfield fence in right field. 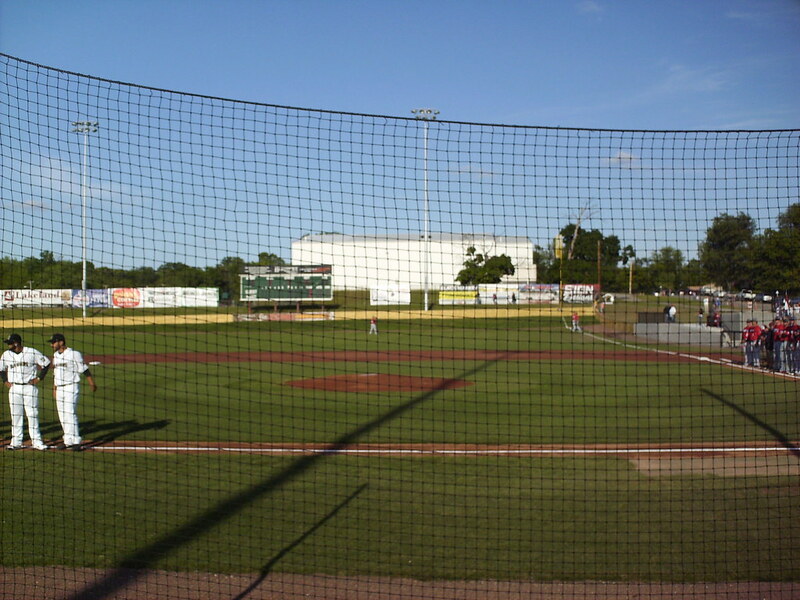 Joe Becker Stadium features a hill in play in right field, presenting a unique challenge for outfielders. 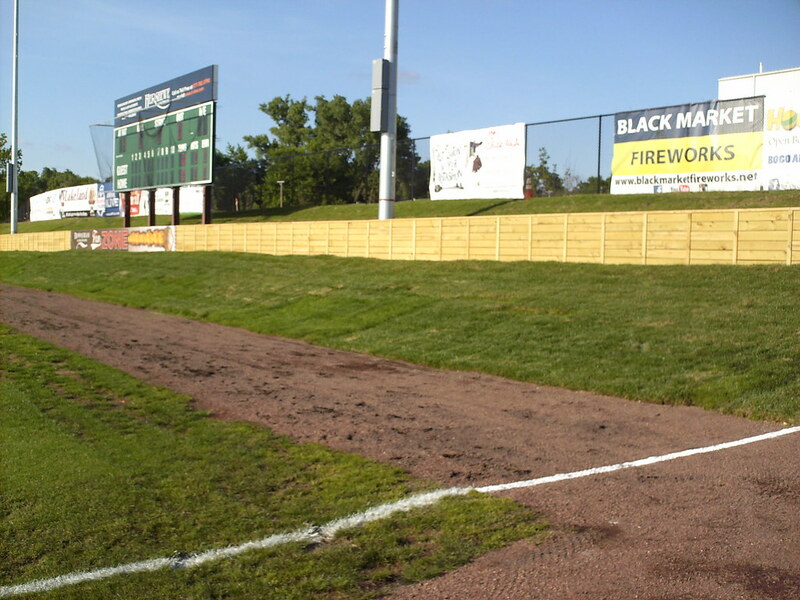 The wall in right is also a short, wooden fence. 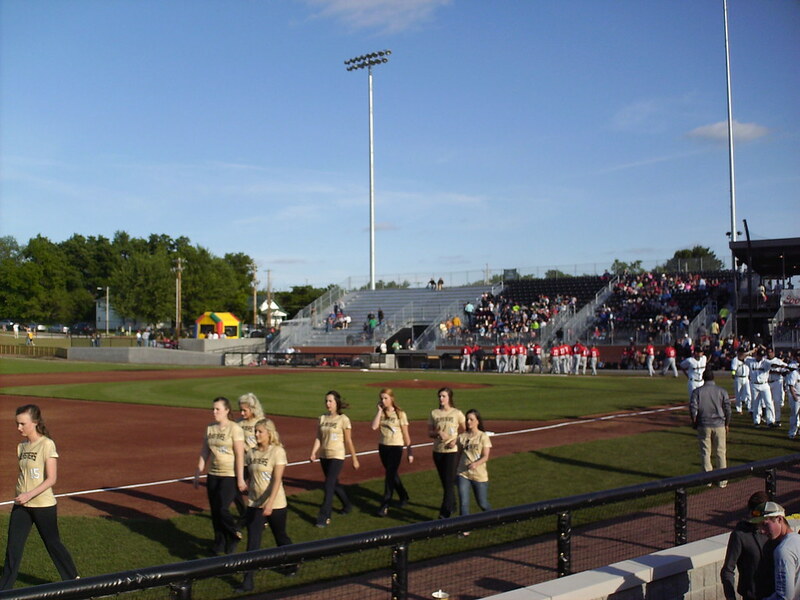 The Joplin Blasters on the field during the first pro game at Joe Becker Stadium in over 60 years in 2015.